Abdominal training improperly done can cause loss of muscle tissue and hold back all gains. Everyone needs this manual! This manual presents information on the most controversial of all body parts – the Abdominals! There are more misconceptions concerning this muscle than any other bodypart. 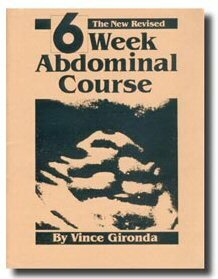 Due to numerous requests for more information on training, Vince Gironda has compiled his findings from thirty-five years of applied use.